Dividing the Wealth – Do peer networks like Airbnb distribute value fairly? 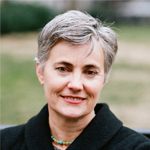 By Robin Chase, author of Peers Inc; co-founder and former CEO of Zipcar1. The ideal of capitalism I perceived as a child seems a far cry from what I understand today. American capitalism has moved from an industrial path that grew a middle class to one that seems to be increasingly taking the ugliest, most extractive form, reversing those gains. In economist Thomas Piketty’s 2014 bestselling Capital in the 21st Century, his analysis found that the top 10 percent of Americans in 2010 owned 70 percent of the capital, trending toward the extreme capital inequality last observed in 1910 monarchical Europe. In the fall 2014 issue of the Journal of Post Keynesian Economics, Pavlina R. Tcherneva, an economist at Bard College, updated Piketty’s data through 2012 and looked at which groups got the benefits of economic expansion.